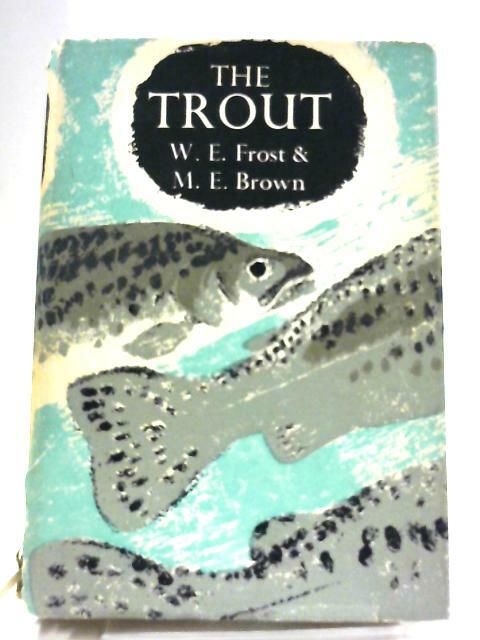 The Trout by W. E. Frost and M. E. Brown. 1967. 286 pages. Illustrated jacket over green cloth boards. Bright pages with light wear and nicks to text block edges. Mild rub wear to surfaces and edges with crushing to spine ends and minor bumps to corners. Dents to board edges with sunning to spine. Unclipped jacket has tanning and wear to exposed surfaces. Edge wear and tears with large tear to end of spine. Heavier sunning to spine. W. E. Frost and M. E. Brown.